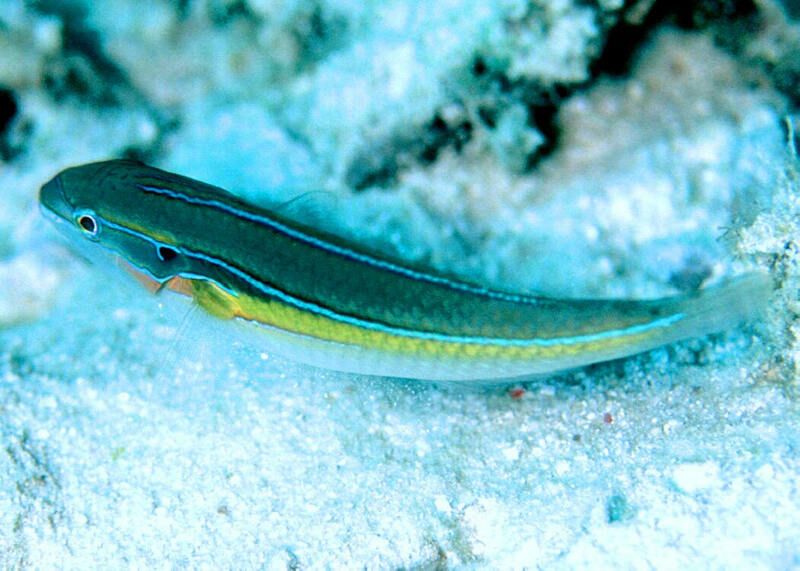 Stethojulis strigiventer (Bennett 1832), the Stripebelly Wrasse. Females are actually striped on their abdomens. East Africa to Samoa, Micronesians. A male off of the Whitsundays in Queensland, Australia. 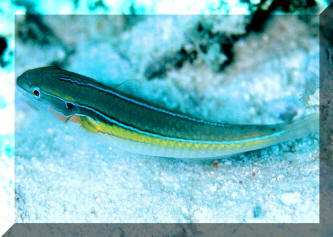 Stethojulis strigiventer (Bennett 1832), the Stripebelly Wrasse. Females are actually striped on their abdomens. East Africa to Samoa, Micronesians. A nice grouping of females/initial phase individuals in S. Sulawesi. Calotomus carolinus (Valenciennes 1840), Caroline's Parrotfish. The most wide-ranging species of the family, Indo-Pacific, eastern coast of Africa to tropical eastern Pacific (repl. by C. viridescens in the RS @/FB). To eighteen inches in length. Feeds mainly on benthic algae and seagrasses. Kona, HI 2019. Chlorurus spilurus (Valenciennes 1840), the Pacific Bullethead Parrotfish. W. Central Pacific; S. Japan to Hawaii. Mainly feeds on benthic algae. To sixteen inches overall length. A highly variably colored species for sure. At one time joined w/ C. sordidus as one species. Initial phase individual in Kona, HI 2019.